1/2 speed rear hub for any age Brompton bikes. 2 x 6000 bearings for the freehub body. 1 x 6900 bearing for the non-drive side hub shell. 1 x 6901 bearing for the drive-side hub shell. i had a hubset 7 speed freewheel with length of 135mm, it is possible to put 10spd on it ? Yes you just need to space the cassette out appropriately. Can you buy the freehub body separately? I have broken one of the pawls on the freehub body. Is it possible to buy this separately, as I do not need the whole hub assembly? Unfortunately we only do the freehub as a whole unit. Do You Sell Bearings For This Hub? We stock some of the correct sized bearings required for this hub. 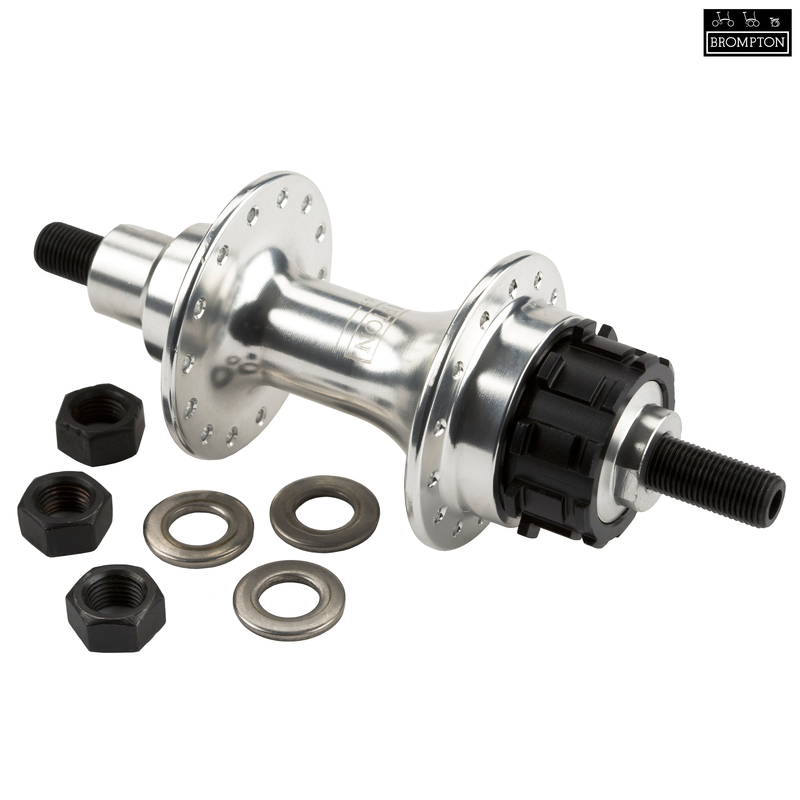 The freehub body uses two 6000 bearings, the non-drive side bearing is a 6900 and the drive side bearing is a 6901. This hub weighs 315grams on our scales.